Striped Bass summer season is producing nice fish. 20" is a keeper! Tampa Bay Fishing Guide - Capt. Jeff specializes in Florida tarpon fishing in Tampa Bay, Florida. Marco Island Fishing Charters - Join Capt Jesse Karen of Mad Snookin for an exciting day of snook fishing from Marco Island and Naples, Florida. Channel Islands Whale Watching - Experience the exciting thrill of seeing whales up close in their natural habitat in Southern California waters off the Channel Islands in Oxnard County. Charter Fishing Cape May � Down Deep Sportfishing provides year round fishing for both inshore/ bay species to offshore game fish from their 40� Duffy charter boat. Down Deep Sportfishing has over 50 years of combined Cape May fishing experience and you are sure to catch some fish. Florida Keys - Our comprehensive guide to the Key Largo, Islamorada, Marathon, the Lower Keys, Key West and the Florida Keys has all of the information you will need when you visit here. There are many events and tournaments that occur throughout the year and we have a list of calenders of all of these events for each of the islands or for the entire Florida Keys. Crystal River Manatee Tours - Captain Warhurst provides fun and excitement for the whole family with Crystal River Manatee Tours during the Fall and Winter seasons. Visit his website to book your Crystal River Manatee Tour today! Ocean City MD Fishing Charters - Year round Charter fishing from Ocean City Maryland, with Reel Addiction Charters.. Fishing Maui - Big game marlin fishing from Maui, Hawaii. Tampa Bay Fishing Charters -Professional lighttackle fishing guide offering year round fishing trips in the Tampa Bay, Florida area. Sail Maui - The best sailing tours in Maui, Hawaii. Tour Reservation Software - The RSPro is the ulimate tour reservation software on the market. This booking engines can be fully customized to fit your tour business. The RsPro is loaded with pwerful features that will allow you to maximize your business reservations by accpeting bookings 24/7. Hoonah Whale Watching - Join Captain Paul with Hoonah Travel Adventures for a fun day watching the many types of whales found in Hoonah, Alaska. We also cater to the cruises ships that port at Icy Strait Point, Alaska. Englewood Fishing Charters - Reel Intense Inshore offers exciting year round fishing trips for all level of experience. Fish for tarpon, snook, redfish and more with Captain Chris Slattery, in the SW Florida waters from Englewood, Boca Grande, Pine Island, Gasparilla Sound, Placida, Sarasota Bay and Charlotte Harbor. Puerto Vallarta Fishing - Multi Day deep sea fishing adventures onboard the Q105, Mexico's finest charter boat. The Q105 also offers diving and spearfishing excursions to Socorro, Mexico. Cabo Fishing Charters - The Salsa is Cabo's premier charter boat that offers both fishing and diving from Cabo San Lucas, Mexico. Fort Myers Beach Fishing - Join Catch Me If You Can Fishing for an exciting day of light tackle fishing in Fort Myers Beach, FL. Bankruptcy Attorney, Miami Florida - At Pro Bankruptcy Law we specializes in filing chapter 7, chapter 11 and chapter 13 bankruptcies in Miami, Florida. Are bankruptcy attorneys also are well versed in debt arbitration, Foreclosure defense and stopping creditor harassment. Florida Life Insurance Quotes - At Kirstein Insurance we are committed in providing you with the lowest rates in life and term life insurance quotes in Florida. Esp in Miami-Dade, Broward and Palm Beach Counties. Alaska Fishing Lodge - Port Lions Lodge is the premier fishing lodge in Alaska. They are located on Kodiak Island and offer several enticing Alaska fishing vacation packages that will suit any angler. Tampa Fishing Guide - Capt. Bob Goodwin is a Tampa Bay native who has been fishing the waters of Tampa, Clearwater and St. Petersburg for more than 20 years. Tarpon Lake Fishing Guide - Bass fishing expert Captain Artie Price has been fishing for bass in Lake Tarpon for over 20 years, he's your best choice for fishing the waters of Lake Tarpon. NC Zip Lines - North Carolina's most thrilling adventure is here at the BeanStalk Journey. The BeanStalk offers exciting zip lines and climbing towers. Virginia Beach Pirate Ship Tours - Captain Jack's provides exciting pirate ship tours daily from Rudee's Inlet in Virginia Beach. They also offer a 21 and up club cruise for a fun night of dancing and drinking. Cape Cod Fishing Charters - Pamet River Charters provides deep sea and inshore fishing from Cape Cod, MA for tuna, striped bass, cod and haddock. Pamet River Charters is a full time fishing charter operator that also fishes the waters around, Truro and Provincetown, MA. Oahu Activities - One of the most famous pastimes in Hawaii is deep sea sportfishing for the monsters of the deep. Oahu is a mecca for people seeking adventure. Join Chupu Charters for a great day of fishing. Lake Havasu Fishing - Captain Jerry's is Lake Havasu finest year round fishing guide service. Captain Jerry has been fishing Lake Havasu and the Colorado River for more than 20 years. Tampa Fishing Charters - Capt. Chet is a world class fishing guide who specializes in light tackle fishing in Tampa. 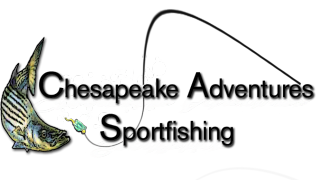 Charter Fishing Key Largo - Key Largo Fishing Charters is the most complete fishing directory on the web for Key Largo, Florida Keys. With numerous fishing charters and fishing guides you are sure to find the perfect day on the water. Florida Foreclosure Defense - Our professional team of dedicated lawyers have the experience needed for you to fight your Florida Foreclosure. Discover the options you have to fight foreclosure, visit our website. Solomons Island Fishing Charters - Lucky Strike Fishing Charters offers fishing excursions in the Chesapeake Bay and Solomons Islands. Marco Island Fishing Charters - Capt. Randy Forman has been fishing Marco Island & Naples for over 20 years and has one of the most successful Marco Island Charter Operations. Reservation Software - Our online booking software was developed for the charter industry, it easily intergrates onto your website. Allows you to receive online payments and securely handle all of your other bookings. Florida Keys Fishing, Key Largo Fishing - Albury Fishing Charters offers world - class fishing out of Key Largo in the Florida Keys. Captain Zane Albury has been featured in several publications for his expertise and is a third generation fishing captain. Albury Fishing Charters offers a variety of trips. Please visit our site for more information. Costa Rica Sport Fishing, Los Suenos - Captain Tom's has provided the best custom inshore and offshore sportsfishing in Costa Rica's Herradura Bay area. We target Marlin, Sailfish, Roosterfish, Mahi and much more. Book Your next Costa Rica fishing vaction with Captain Tom's offshore sportfishing. Florida Lawyer - Broward Attorney - Business Law The law office of Ben Protano is a South Florida based law firm, located in Hollywood, Florida. The law office practices in commercial, business formation, real estate, banking and securities. Seward Fishing, Alaska - Seward Adventures offers full day and half day charters out of Seward Alaska. Fishing for Halibut, Salmon, Rockfish, Lingcod and many more. Hawaii Fishing - Chupu Charters is Oahu premier offshore sportfishing charter boat. Carolina Beach Fishing, North Carolina Charter Boat - Fish Dance Charters has over 30 yrs experience. fishing out of Carolina Beach for Tuna, Marlin, Sailfish and many other species. Book your next North Carolina fishing trip with us! Miami Fishing - Backcountry fishing with Flats to Fathoms. Captain Mike Hutchinsson, a South Florida native has been fishing for Snook, Tarpon, Redfish and other inshore species his entire life. Half Moon Bay Fishing - California Captain Dale Waters of the Mv Que Que Sera offers worl class tuna, salmon, rockfish, lingcod and boat excursions. Outer Banks Fishing - Cape Hatteras - Custom offshore fishing charters for deep sea sport fishing. Morehead City Fishing - North Carolina - Blue water sportfishing with Blue water fishing charters. Fishing out of Morehead City in North Carolina. Chesapeake Adventures Sportfishing Fishing from Breezy Point MD a 30 minute drive from the Washington DC Beltway. Seward Fishing – Alaska Fishing Charters – Halibut Charter Fishing - Share Alaska Charters offers first class fishing & sightseeing trips from Seward Alaska. Fishing for Salmon, Halibut and Rockfish. We have over 30 yrs experience fishing the waters of Seward Alaska.